Both a dreamer and hard-working entrepreneur, sportsman Amr Mansi made a remarkable transition in the span of a decade, from a professional squash player to becoming the mastermind behind two of the country’s major sports and cultural events. He was instrumental in the initiation and organisation of the successful El Gouna International Squash Open in 2010, and is recognised as the dynamo behind the uber-efficient organisation of El Gouna Film Festival, which was launched two years ago. Mansi sat down with eniGma’s Nayera Yasser to talk sports, cinema and everything in between. It was on an exquisite sunny morning in 2008, while having breakfast at the picturesque Seventh Star in El Gouna and gazing at the sea and the enchanting Abu Tig Marina, that the idea of having a major squash tournament came to Amr Mansi. It was closer to a dream really. “I was a squash player from Alexandria who had made it to the top 50 players worldwide. While I had no idea about what it would take to organise an international event, this didn’t stop me from dreaming about it,” Mansi reminisces, with a smile. 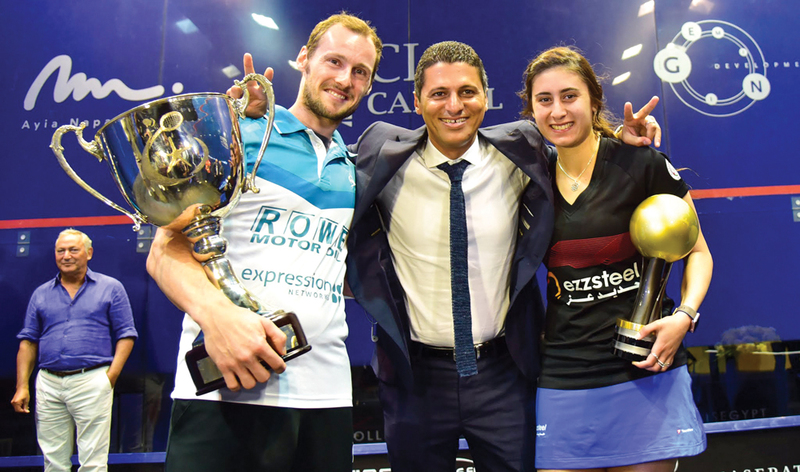 Mansi’s decade-long journey in event organisation started when he worked at bringing his dream of starting a squash championship in El Gouna to reality. “I was just a player, quite unaware of all the elements that go into organising a tournament. Most importantly, I did not have connections with potential sponsors; I had to knock on doors and wait for hours to secure just one meeting. I dealt with a lot of rejection,” he recalls. Even though the Sawiris family, owners of El Gouna, supported his concept, the first tournament season he organised did not exactly meet his own expectations. First of all, it was disappointing that instead of taking place at the marina as he had envisioned, the glass court was erected in the parking lot. Moreover, as if the chain of sleepless nights he endured was not enough, the undertaking actually ate up his entire life savings. By definition, given the general public’s huge interest in films, the film festival would naturally be at least ten times bigger than the squash tournament in terms of size, cost and exposure. Mansi had to rapidly adjust his organisational skills to the festival’s size. In the beginning, he was so concerned that the project was too far from his field and he was reluctant to associate himself with something he did not comprehend from all angles. He even didn’t want his name on any list of credits. However, the experience he rapidly gained on this new journey very soon molded him into a true professional in his newfound field of event management. Within a short time, he felt confident in the task he was entrusted with. “The first season of the film festival was rushed,” he recalls. “The short time frame was the biggest obstacle we faced. We got our final confirmation to start implementation of the festival in April 2017, just four months ahead of the festival’s debut. The press conference was held only 20 days ahead of the opening, and the publicity campaign was also quite late. Abroad, it often takes a year to produce a successful festival round,” he explains. Being also severely understaffed, Mansi, now the CEO of GFF, would spend an average of 16 hours at the office every day in the runup to the festival. His team was running against the clock to understand all the details involved, and they sought help from friends in the industry. 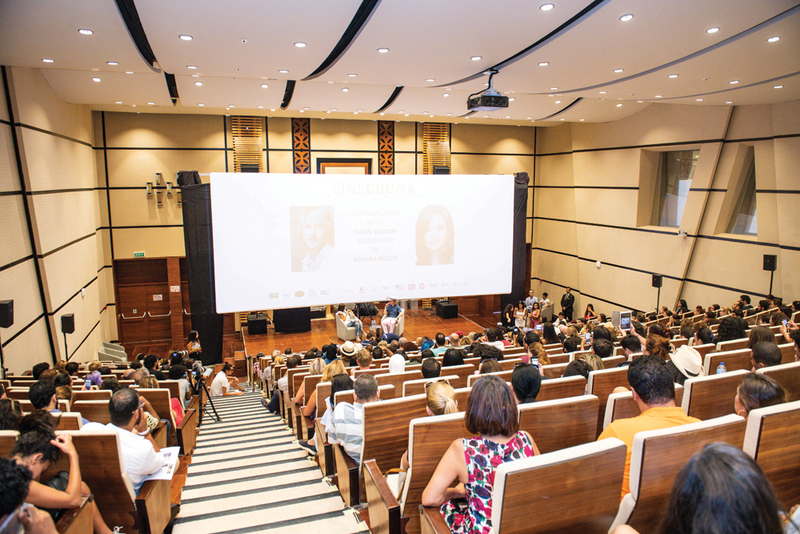 In the end, in a matter of a few weeks, the festival’s first edition was not only launched, but it also garnered huge regional attention, proving itself as a leading international festival in-the-making. 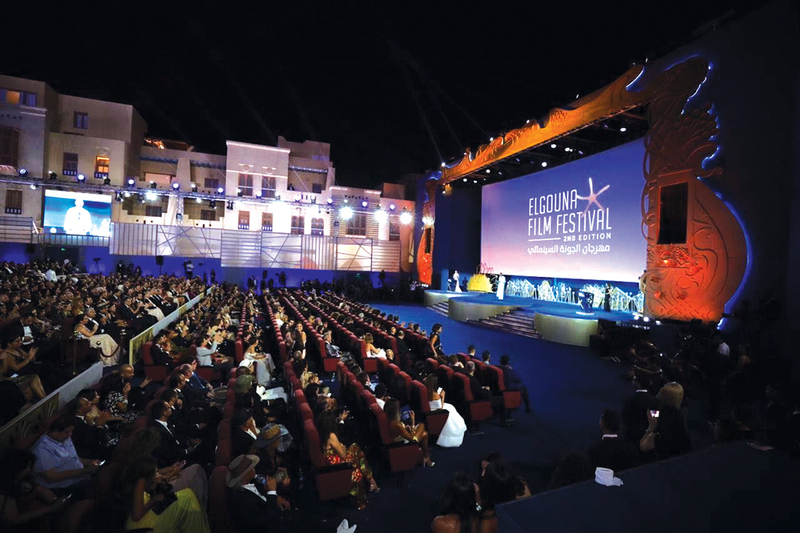 With a minimum of 16 different events taking place during each season of the festival, the team organises an opening ceremony, a closing celebration, and various reception events every day, including cocktail evenings and after parties, as well as screenings, masterclasses and different separate award ceremonies, such as CineGouna. The week-long festival takes an unfathomable amount of work from 135 individuals, each with a respectable resume in his field of specialty – from marketing to PR, communication, press, programming and technical know-how. “The second year was even more difficult than the first,” says Mansi. “That’s because, by definition, the event’s scale became bigger. Moreover, there weren’t too many people who paid much attention to the festival’s first edition ahead of the opening. In fact, despite the team’s hard work, energy and enthusiasm, no one thought that the festival would reach such a high standard in its first year. The second edition naturally came with a responsibility to meet and surpass the bar we set in the first round,” says Mansi. A firm believer in the importance of having a free hand, Mansi is certain that if a team has the know-how and the coherent set of skills needed, they should not allow external interference which might hinder their vision. Nonetheless, given the dearth of capable sponsors, this may be a challenge. “Whether it is squash or cinema, the biggest obstacle in Egypt has always been finding proficient financiers. 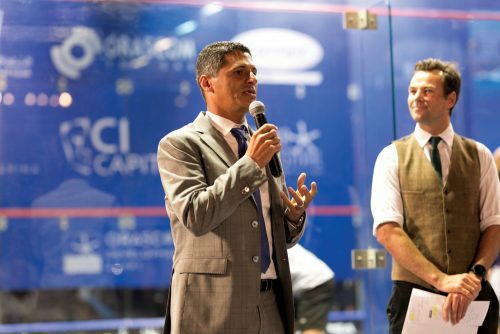 There are seven global squash events similar to El Gouna International Squash Open; each of them is often sponsored by one entity. Meanwhile, we have an average of 14 different sponsors for our tournament,” says Mansi, adding, “In Egypt, it is almost impossible to find a sponsor with the ability to pay for everything required. 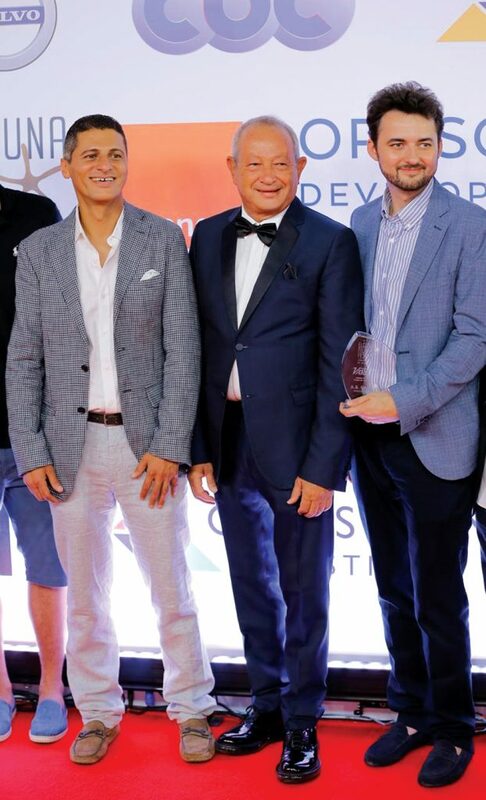 Accordingly, it is always tricky to meet the financial requirements to pull off an event.” Appropriately, the second edition of GFF was 35% financed by sponsors other than Naguib and Samih Sawiris. After all the hard work and a chain of many errors as well as multiple victories, Mansi is quite proud of where El Gouna Film Festival currently stands after only two editions. He credits the festival with raising the interest of the entire population in the film industry generally, and in alternative types of production, providing more opportunities to new talents. Mansi notes that, after winning CineGouna’s grant last year, director Abu Bakr Shawky debuted his movie – Yomeddine – at the Cannes Film Festival on an international scale, before showing it at the GFF in Egypt this year. The film won various awards between the two screenings, paving its way to the 2018 Oscars. Many films were also produced specifically for the festival, such as the Egyptian short film, Fork and Knife by Adam Abdel Ghaffar and the award-winning Eyebrows, by scriptwriter Haitham Dabbour and director Tamer Ashry. Mansi is convinced that GFF has stirred competition among film festivals domestically. He notes how the Cairo International Film Festival is currently making an evident comeback, especially with the appointment of producer and scriptwriter, Mohamed Hefzy to head it. Mansi believes that Hefzy’s presence at the helm of this national festival brings great added value to the local and regional cinema. “Having a young expert like him taking charge raises standards,” says Mansi. “I already have a very strong rapport with Hefzy, we often help each other with details, including sponsors and movie selection. This will benefit the entire country and our filmmaking industry,” he adds. After seven seasons of El Gouna International Squash Open and two editions of El Gouna Film Festival, Mansi’s aspirations have no limits. Aside from building on the current success of his two festivals, he plans to extend what he has achieved in squash to various other sports. Based on his first-hand experience, he knows how tournaments can draw bigger audiences and attract new generations to a sport. His goal is to replicate the success achieved in squash, in other sports. “Squash has become a popular national sport with much more exposure. When we first started the squash tournament, we only had two Egyptians in the top 10 players, today we have six players. Local events provide better support for local talents. Mohamed El Shorbagy won his first championship in El Gouna, in front of a local audience of his friends and family,” Mansi proudly states. Looking ahead, Mansi’s ambition is to produce four independent festivals per year. 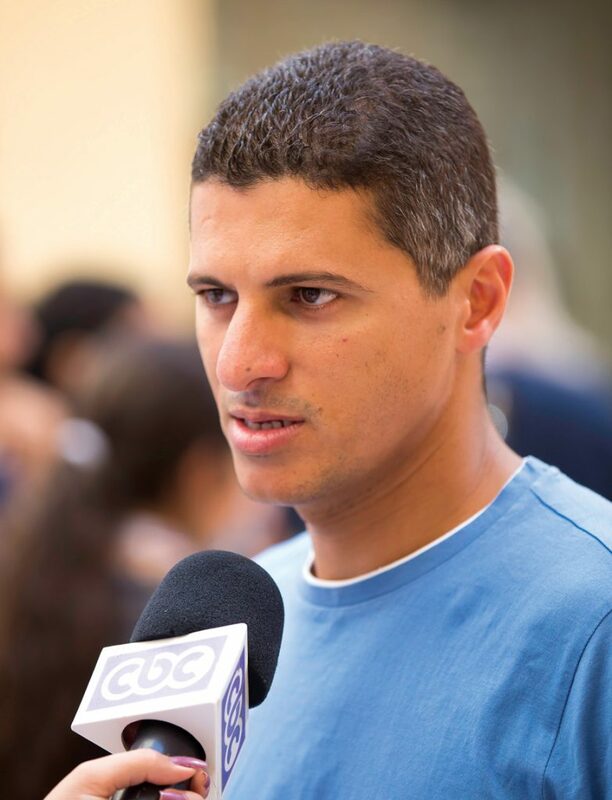 He already has two other projects in the pipeline: bringing back Al Ahram International Squash Tournament on a regular basis and working on a specialised tournament for beach volley. To achieve his goals, Mansi says that he intends to follow his successful recipe so far by building and relying on strong teams with varied skills and expertise.